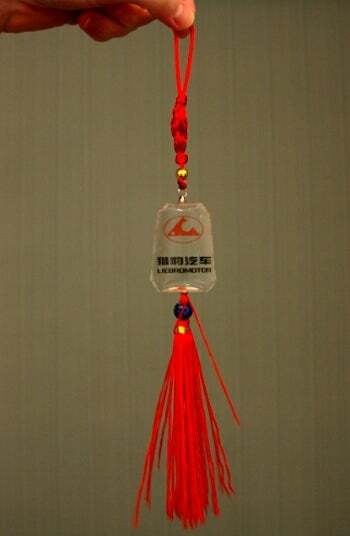 Apparently I am now a graduate of China's Liebro University, and all I had to do was attend the Changfeng (rhymes with "Wang Chung") press conference here in Detroit and pick up my tassel. The Chinese automaker made another bid for acceptance in the Detroit community, showing off two cars, the Liebro CS7 crossover SUV and the Kylin small MPV today at the show. They're still well behind baseline in quality/styling standards. The smell of petroleum-based adhesives still waft from the interiors, where a visual-tactile mashup of early-'80s Subaru and mid-'90s Dodge Neon await. But the company, considered an also-ran in the push to bring the first Chinese cars to the US, is improving its presentation skills, though still adorning their cars with random alphanumeric sequences.